The 340B Drug Discount Program has faced numerous attempts at regulatory changes in the last five years; one, in particular, challenged the Orphan Drug rule. The ruling stipulated that manufacturers are not required to provide covered entities orphan drugs under 340B, but a manufacturer may, at its sole discretion, offer discounts on orphan drugs to these hospitals. Despite the legislative effort, a successful court challenge to the rule, coupled with HRSA’s belief that the resulting court ruling effectively nullified its authority to issue proposed regulatory guidance suspended any significant changes. Since then, CMS introduced a rule which cut Medicare Part B reimbursement for 340B drugs and there was a series of pending Congressional bills that proposed limits on 340B Program operations. Here is a review of recent developments within the 340B Drug Discount Program and how the program could be impacted in 2019. In early January, the U.S. District Court for D.C. advised enforcement of the CMS Medicare Part B reimbursement cut for 340B drugs. The regulatory provision imposed reduced hospital reimbursement for most 340B drugs from Average Sales Price (ASP) plus 6% down to ASP less 22.5% so as to approximate acquisition cost. That provision was originally adopted as part of the 2018 Outpatient Prospective Payment System (OPPS) rule. However, the Court stopped short when it came to imposing any remedy beyond injunction, identifying that the ruling could “wreak havoc” on the administration of the OPPS. Instead, the court ordered additional briefing on the manner, scope, and implementation of any future remedy. Plaintiffs assert that based on the injunction, the only appropriate remedy is for the court to call for CMS to make covered entities whole by reimbursing covered entities for any OPPS claims for 340B drugs based upon ASP plus 6% instead of ASP less 22.5%. CMS argues that because of the recognized disruption to the OPPS as well as the resulting increase in costs to Medicare recipients, the only appropriate remedy is to keep the injunction in place while delaying the dispute to CMS to allow the agency to use its expertise to develop an appropriate administrative remedy. The agency reminded the court that the 2018 (and 2019) OPPS was premised on budget neutrality, and the plaintiffs’ recommended solution did not appropriately account for other payment adjustments that were part of the OPPS. As of February 28th, the court had yet to rule on the propositions and CMS is not waiting on the court to impose a remedy. Three days earlier, CMS filed its appeal of the district court decision to issue the injunction. It is plausible that the district court could keep the injunction in place but stay any additional proceedings on remedies depending on the outcome of the appeal. Meanwhile, CMS’s decision to appeal the ruling should not come as a shock. One of the striking things about the district court ruling is its basis in law. The court did not rule that the 340B reimbursement cut violated the letter, or the spirit, of the 340B statute. Additionally, the court did not rule that a reimbursement reduction of almost 30% failed to approximate hospitals’ acquisition cost for 340B drugs. Instead, the ruling was based on the court’s belief that the reimbursement cut was too excessive to be justified under CMS’s authority to adjust Medicare reimbursement rates. The court identified that the statutory authority to “adjust” payments in Medicare did not give the HHS Secretary the “absurdly broad power to make drastic adjustments” to Medicare reimbursements and call it equitable. Yet, earlier in the year, HHS proposed an additional drastic change to the drug reimbursement landscape. HHS proposed rulemaking to eliminate protections for certain drug discounts and rebates in Medicare Part D and Medicaid Managed Care. Opposition to the proposal argued that it is too drastic of a change to rest on HHS’s administrative authority over Medicare and Medicaid. So, the District Court’s invalidation of the 340B reimbursement cut needs to be challenged lest it stands as precedent for denying the administration the discretion to take administrative action to make changes that significantly impact drug pricing and the drug reimbursement in federal healthcare programs. One area where HRSA has long had legislative authority to take action is the requirement to adopt a 340B ceiling price penalty rule and to employ a ceiling price verification system for covered entities. After years of delay, the rule and verification system was finally readied in late 2016, but to the disappointment of covered entities, the Trump Administration chose to postpone implementation of both the rule and the verification system. After almost two years of ongoing delays, in December of 2018, the Trump Administration finally announced it was implementing the ceiling price penalty rule beginning January 1, 2019. 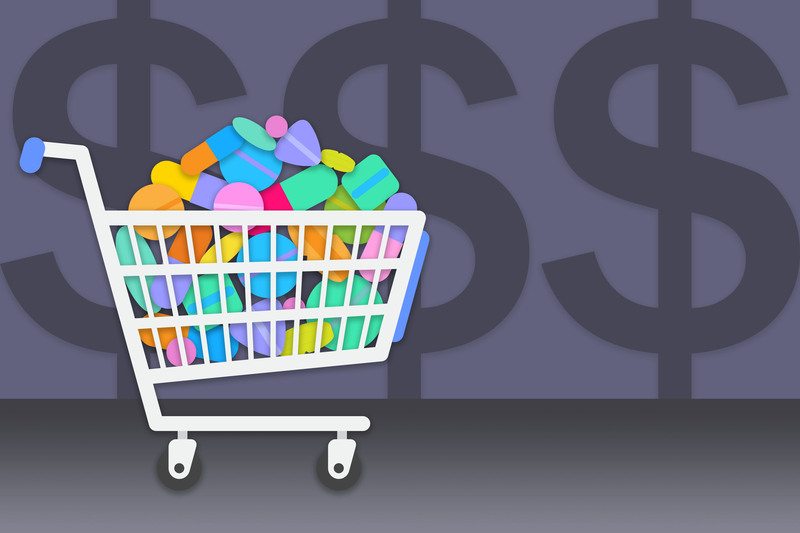 In the following month, HRSA declared that the “secure pricing component of the 340B Office of Pharmacy Affairs Information System is now open for submission of manufacturer pricing data for the first quarter of 2019.” This means that data on ceiling prices is being submitted by manufacturers, but will not be available to covered entities until verified. According to HRSA, the agency “expects” authorized covered entities will have the ability to access the verified ceiling prices for the first quarter of 2019 on April 1, 2019. Authorized covered entities must have a user account detailing appropriate roles and permissions to access the data. Covered entities should begin planning and ensure that the appropriate staff is registered in order to access the system once it becomes operational. Apart from old legislation being reintroduced, it is unlikely that there will be additional proposed federal regulation in the 340B space depending on the outcome of the litigation over the OPPS rule. However, there is potential that legislation may come in the area of broad pricing and rebate transparency, not concentrated on 340B. States are generally the source of drug pricing and transparency efforts. This year, it is crucial to keep an eye on their initiatives and how they involve 340B. Currently, the HRSA ceiling price verification system has become operational for registered covered entities but states cannot access the system. Furthermore, under federal law, Medicaid fee-for-service reimbursement for 340B drugs cannot be more than the actual acquisition cost and surpass the 340B ceiling price. Since it is challenging for a state to be sure that Medicaid reimbursement does not exceed ceiling price when it does not know that ceiling price, a number of states are taking regulatory action. Effective November 1, 2018, Colorado Medicaid calls for covered entities to submit certain 340B acquisition costs to the state. In addition, effective November 1, Mississippi Medicaid mandates covered entities to identify 340B drugs on medical and retail Medicaid pharmacy claims and to submit drug invoices to the state for auditing. Other states will most likely adopt similar reporting practices in order to facilitate pricing transparency. Many states require Medicaid managed care plans to identify the use of 340B drugs through the use of a specified billing modifier in order to reduce the risk of duplicate discounts. Multiple states have restricted the ability of covered entities to provide Medicaid managed care beneficiaries with 340B drugs through contract pharmacies. Some states have also restricted certain types of covered entities, like FQHCs, from supplying any Medicaid patients with 340B drugs. California’s new Governor, Gavin Newsom, announced an executive order instructing state agencies, including Medi-Cal, to collectively negotiate prescription drug pricing through a single-purchaser system and to “take all necessary steps to transition all pharmacy services for Medi-Cal managed care to a fee-for-service benefit by January 2021.” The order is intended to ensure that the state gets the best pricing available through bulk purchasing while at the same time maximizing California’s Medicaid drug rebate proceeds. Lastly, the 2018 National Governor’s Association Report recommended that states should plan to leverage 340B pricing by contracting with 340B covered entities to deliver state-financed health services, such as in state prisons. At the time, a Pew study revealed that Texas decreased its drug costs in the prison population by 60% with the use of a 340B contract and that 16 states were now collaborating with covered entities to obtain at least some of their high-cost drugs for prison populations through 340B. Although some may debate the ethics of the model in prison populations, and others may contend the impact of Medicaid best price reporting requirements on these types of arrangements, there is no debating the fact that the states are realizing cost savings from these programs. Expect to see more states consider such 340B arrangements. In closing, 2019 has the potential to be a reformative year for the 340B Drug Discount Program. States are exploring ways to leverage the program’s savings while commercial insurers are also considering 340B and what contracting steps can be taken outside of the federal program to rein in reimbursement rates. This year the ceiling price verification system for covered entities will become operational, as will the penalty rule for overcharging ceiling price. Having said that, the Supreme Court already ruled that covered entities have no private right to enforce 340B pricing. Therefore, the question arises, if ceiling price violations are found, will HRSA or OIG actually take action to enforce the penalty provisions? State regulatory measures addressing 340B billing practices and commercial insurer contract adjustments involving 340B will be a focus for the program in 2019. Expect to see changes on a state-by-state or contract-by-contract basis.